60 Cheapside - iNGLEBY TRICE. 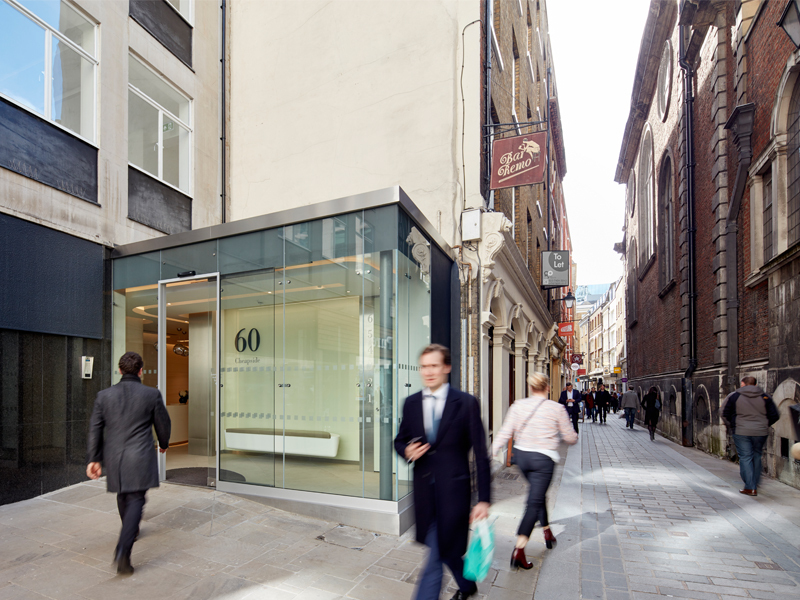 60 Cheapside is located at the intersection of historic and intimate Bow Lane and bustling Cheapside with its thriving public realm. Local amenities include high end retail and restaurants at One New Change; The NED, Bow Lane and Bloomberg’s new headquarters. The offices will appeal to occupiers who are seeking an exciting City Core location with exceptional transport links. Mansion House, St Paul’s and Bank stations are all within close walking proximity. Cannon Street and Blackfriars mainline stations are both within 7 minutes’ walk. LEASE: New FRI lease(s) are available for a term by arrangement, directly from the landlord, “outside the 1954 Act”.